Hire for optimum customer support services. 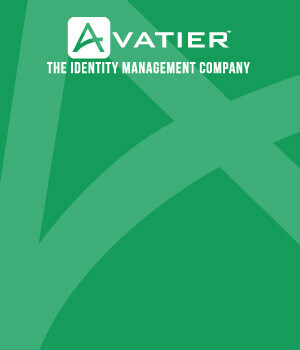 As with any business, Avatier’s success depends on obtaining and keeping customers. You might have the best development, marketing, and sales teams on the planet, but none of that matters if you don’t lay the groundwork for long-term relationships with your customers. Whether you’re a director, support manager helping external clients or an IT administrator managing users within your organization, these tips ensure more customers select Extremely Satisfied" on their ticket satisfaction surveys—and stay happier with you over time. So how do you build an awesome customer support services’ team? However for starters, I would like to cover the importance of hiring the right people and communicating like a human. Good customer support service starts with good customer service representatives, so it pays to choose the right people. For starters, all your reps should pass the Sunday Test." If you were in the office on Sunday with one other person, who was the person you were considering to hire, would you want to hang out with them, or would it be awkward? Every support person needs to be likable and cheerful. They need to be able to convey these characteristics in written communication with customers. If you’ve ever written a thoughtful support ticket just to get a response in broken English, you know how jarring it can be. There are two other things you need in the job above all else: patience, and empathy. Patience is important because you need to be prepared for the long haul. People are coming to you with problems that can range from an easy fix to something that might take a couple of days to solve. Either way customers typically view problems as urgent. Empathy matters, because our customers are IT professionals who rely on our tools to do their jobs. This means getting problems fixed and communicating expectations are crucial. Your customers must know you actually care and you’re there for them. Once you’ve hired great people, give them a chance to show it. No one likes a script-following drone. Keep boilerplate responses to a minimum. How often do people contact support and get a robo-message that says, ‘Hi, my name is X, I’m here to help you today? Customize your greetings so they sound natural and tailored to customers’ problems. Use a customer’s name whenever possible, and use the data available to personalize messages. 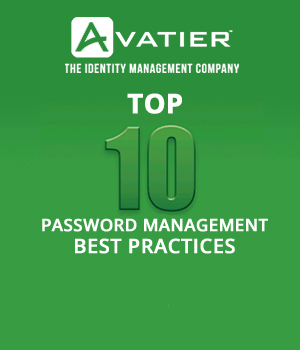 For example, when you know a customer is an IT administrator in charge of 1,000 users, tell them about a Single-Sign-On or Password Reset feature of your product that will make their lives easier. And when it’s appropriate, don’t be afraid to add a little humor. With the right ticketing systems and communication procedures, your customers won’t have to give the same information more than once, regardless of whom they speak to. We’ve all experienced support calls where you give your address and account number over and over. There’s no longer a need for such customer support nonsense. We’ve all been there. The ideas listed in this blog are a tiny slice of the possibilities to consider, when you think in terms of staffing to make support easier for customers. Even if all the effort seems like a challenge, the results prove worth it. Set out to create an amazing customer experience. Watching your customer support staff come together is exciting and rewarding. Remember providing optimum customer support can seem like a daunting task. Ensuring customer satisfaction takes time and requires organization-wide buy-in from your staff. Stay the course, because your organization will benefit several times over from retaining highly satisfied customer. I am interested in your experience. If you have any advice of your own, please share them in the comments!